Celebrating both femininity and craftsmanship, Ulysse Nardin unveils the Classico Lady Grand Feu. Beating with the UN-815 self-winding movement and boasting the Classico aesthetics, the four refined Classico Lady Grand Feu watches flaunt dazzling hand-crafted enamel dials. The timepieces are polished examples of the almost-lost art of enameling, which the Swiss horloger has revived through its acquisition of Donze Cadrans. The specialist luxury watch dial enameller joined Ulysse Nardin in 2011, where it has continued the century-old tradition of fusing enamel powder into a high-temperature kiln. The heat can spike to up to 900 Celsius, giving rise to the term “Grand Feu,” which translates into “great fire” in French. Fealty to its marine roots, Ulysse Nardin has fashioned the timepieces’ enamel into a rippled, wave-like appearance, using a guilloche silver plate.In a showcase of creative mastery, the new limited-edition Lady Grand Feu watches burst with four delicate shades – not the common white or beige. Thanks to a complex process of styling enamel powder from Donze Cadrans’ reserve, the dials shine in blue, lavender, seafoam green or pewter grey that exhibit a translucent quality – a feature that further complicates the watches’ making. The mesmerizing dials, strikingly clean when it comes to indications, rest in 37mm white gold cases, beaded with 76 diamonds. The watches, which amount to collectors’ editions, come with crocodile leather straps that match the dials’ hues. 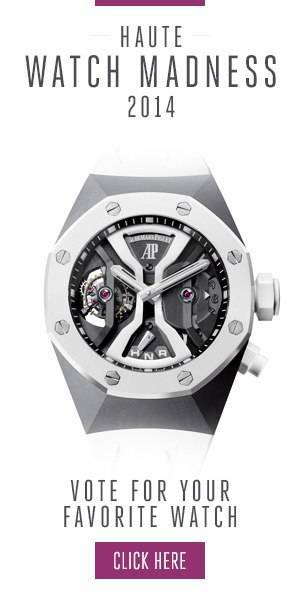 Each piece, water resistant to 30 meters, retails at $24,900.